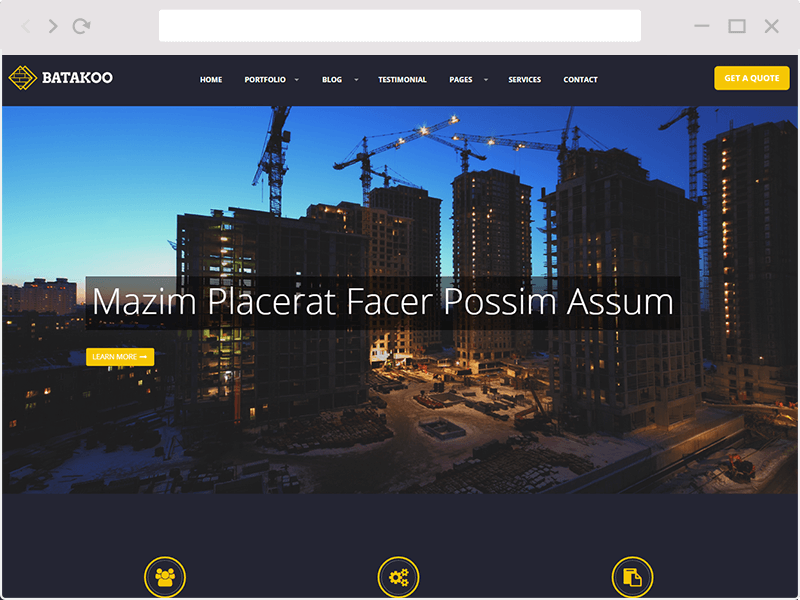 Batakoo is suitable for the construction business,engineering, architecture and the company website. Make your business more victorious and make it easier to develop your business. The layout looks beautiful at any size, be it a laptop screen, iPad, iPhone, Android Mobile or tablets. 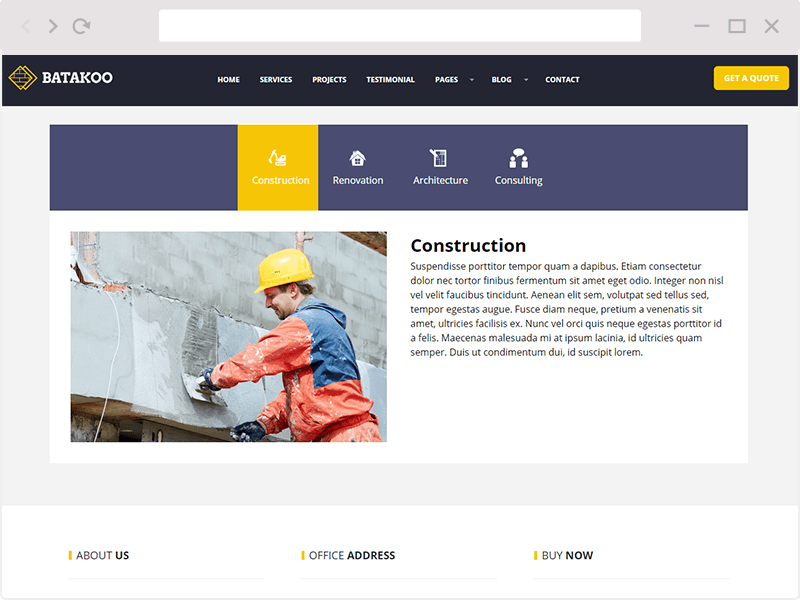 Plus, Batakoo includes plenty of customization options that allows you to change the visual style of any elements without touching to single line of codes. This page template will show your FAQ post type. 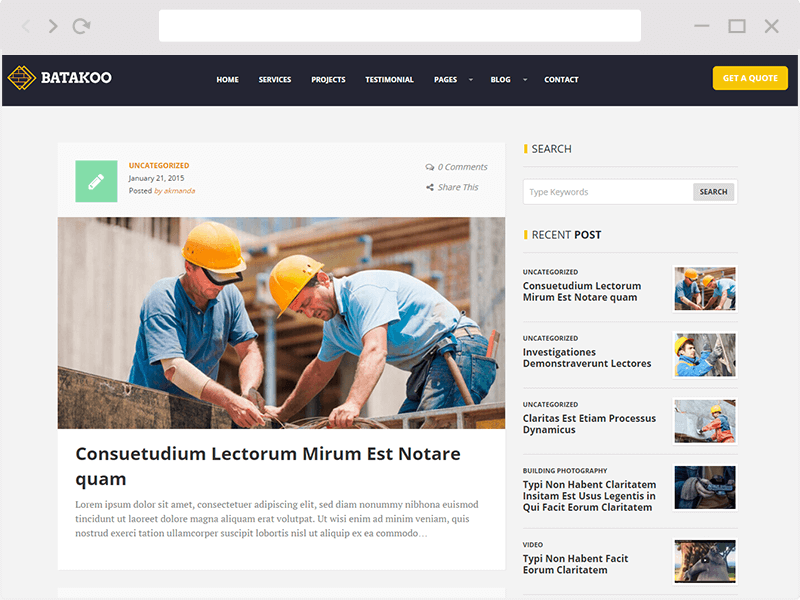 This page template will show your Testimonial post type. Allow you to make a FAQ. Allow you to make a Partner.